The West Maroon Pass trailhead received a major upgrade last week with a new restroom installed as the kick-off project for the newly launched Gunnison County Stewardship Fund. The National Forest Foundation (NFF), a national organization that covers 14.5 million acres in Colorado, is managing the stewardship fund in partnership with the Gunnison Ranger District of the U.S. Forest Service and other contributors. The new organization began to take shape over the past year as a way to benefit public land projects, and collected a pilot fund to finance the initial trailhead project. The West Maroon Pass trailhead was chosen as its first beneficiary due to the growing popularity of the East Fork/West Maroon Pass Trail, and because “trash, human waste, and other impacts reached a critical level in the past year,” according to the NFF press release. “The trailhead offers spectacular opportunities to day hike to West Maroon Pass or hike between Crested Butte and Aspen, and managers expect pressure from users to continue to increase,” writes Emily Olsen, the foundation’s Colorado program manager. The new restroom facility is a pit toilet and will be open year-round. ”We couldn’t do anything too fancy because of the high elevation,” said Olsen. The facility was built and delivered by a company called Boom Concrete, of South Dakota. 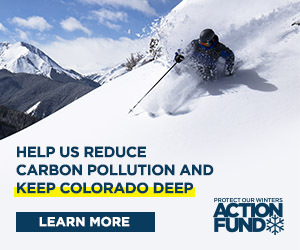 The pilot fund came from Gunnison County, the Gunnison County Metropolitan Recreation Board, and the town of Crested Butte in addition to the NFF. Both the Met Rec and the county commented on their participation and long-term potential for the fund. “We are very excited that the Gunnison Metropolitan Recreation District could play a pivotal role in a project that will serve so many people using our backcountry while reducing their impacts,” said Ian Billick, Gunnison County Metropolitan Recreation Board member. “This project is a great example of what can be accomplished when a broad base of different public land users come together for a common cause for the benefit of all who recreate in Gunnison County,” said Gunnison County commissioner Phil Chamberland. The Gunnison District of the U.S. Forest Service planned the project and managed the delivery and installation of the toilet. The total project budget was $67,500 and includes the toilet, a new kiosk, educational signs and other improvements to the parking area still in the works. The local Forest Service staff helped with the installation during an intense bout of inclement weather with snow, wind, and icy roads, and “went above and beyond to get the toilet installed before winter,” said Olsen. The next steps for the stewardship fund include recruiting long-term partners. Ideally, the partners will contribute on an annual basis, and the organization’s scope can expand in the years to come, said Olsen. “The idea is that the fund will be a sustainable source of funding for these types of projects,” Olsen said. Another step ahead is to work with the Gunnison County Sustainable Tourism and Outdoor Recreation Committee (STOR), which has just agreed to serve as the project selection committee for the stewardship fund. The goal is to fund more projects in 2019, as local community priorities come forward. “The National Forest Foundation is proud to partner with local government leaders, businesses and non-profit organizations to launch the Gunnison County Stewardship Fund. The West Maroon Pass Trailhead Project is only the first of many important projects that will improve the recreational experiences on the lands in this community,” said Mary Mitsos, NFF president and CEO. Local businesses and residents interested in getting involved or contributing to the fund are encouraged to contact Emily Olsen at eolsen@nationalforests.org. To learn more go to www.nationalforests.org. Next If this is how you court me, what will it be like when we’re married?